Gwangju World Human Rights Cities Forum Happening Now! 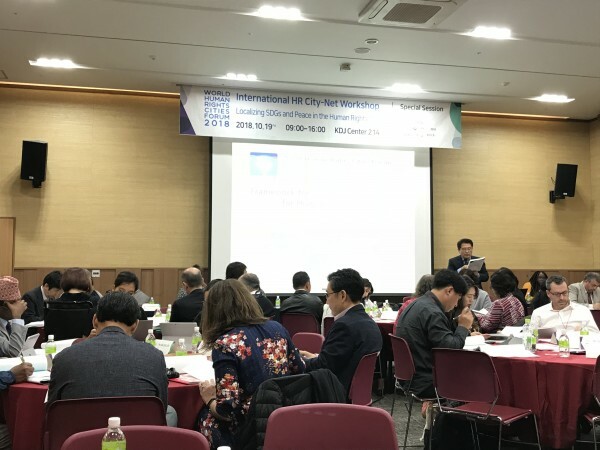 In collaboration with Gwangju Metropolitan City, Korean Association of Human Rights Studies, Asia Development Alliance, UCLG and KOICA, ADN organized the International Human Rights Cities Network Workshop in Gwangju, Korea. Jinho Song, Vice-President of KOICA and Jong-je Jeong, Vice-Mayor of Gwangju Metropolitan City gave the opening remarks. Former ADN Secretary General Anselmo Lee is now giving the Keynote Presentation. Tomorrow we will be having a session on Indonesia Human Rights Cities with ADN Member INFID!